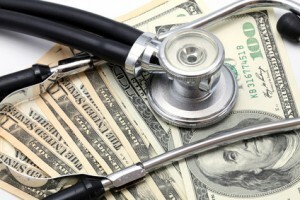 Do You Need Help With Medical Debt Relief? HomeBlog Debt ReliefDo You Need Help With Medical Debt Relief? If you’re struggling to pay off big medical debts, I can certainly empathize. I had a minor procedure done to one of my hands two weeks ago. The bill arrived yesterday and the cost was $5,000. Fortunately, I have insurance that will cover either all or most of that bill but I can just imagine how terrible it would be if you had to pay a medical expense such as this out of your pocket. The first thing you need to do is to carefully review any statements you get from your healthcare providers. Hospitals and clinics are required to handle a huge amount of information about every patient and when there is a huge amount of information involved, mistakes can be made. In fact, I have seen estimates that anywhere from 30% to 80% of all medical bills contain errors. You want to make sure all of your charges are legitimate. If you do find errors, call your provider and ask it to make corrections on your bill and then resubmit it to you or your insurance company. Medical debt is more complicated than conventional debt if there is a health insurance company involved. When this is the case, you need to know your limits, co-insurance, co-pays or anything else in your policy that could affect how much the insurance company will pay versus your share of the costs. You may not even know how much you actually owe until several months after your treatment and your insurance company has paid its share of the bill. Healthcare providers used to be fairly lenient in terms of how they treated medical debts. However, many of them have become more like businesses and are much tougher on debt collection. If you find yourself on the wrong side of a huge bill, the first thing you might do to get some medical debt relief is to contact your provider to see if you can’t negotiate a reduction in what you owe. If you could promise an immediate lump sum payment, you might be able to get that bill reduced substantially. If you are unable to negotiate a settlement with a healthcare provider, you might be able to arrange a payment plan. Suppose that you owed $10,000. Your hospital or clinic might be willing to let you pay it off over a two-year period at around $416 a month. You might also be able to get it to waive any interest charges to help you get out of debt quicker. If you have a rare or chronic disease there may be a foundation or federal assistance program that would help with your medical bills. How much assistance you might receive will depend on factors such as your age, health condition and insurance status. But it is possible that a foundation would help with co-pays, co-insurance, the cost of your drugs and even more. However, be aware that there are usually funding timelines so it is sometimes better to look for help early in the calendar year. If you have a credit card with a low interest rate, you might consider putting your medical debt on it. This would allow you to spread that debt over a period of time. And it would become more “flexible,” in that you wouldn’t have a fixed payment to make each month. Instead, you could pay just the minimum required by your credit card or you could heavy up on your payments to get out of debt faster. Many families have found that the best help for medical debt relief is to let National Debt Relief settle those medical debts for them. Our trained debt counselors can negotiate with your healthcare providers to get your balances reduced so you could become debt free in 24 to 48 months. We charge no upfront fees. In fact, you pay us nothing until we have successfully settled your debts and provided you with an affordable payment plan.